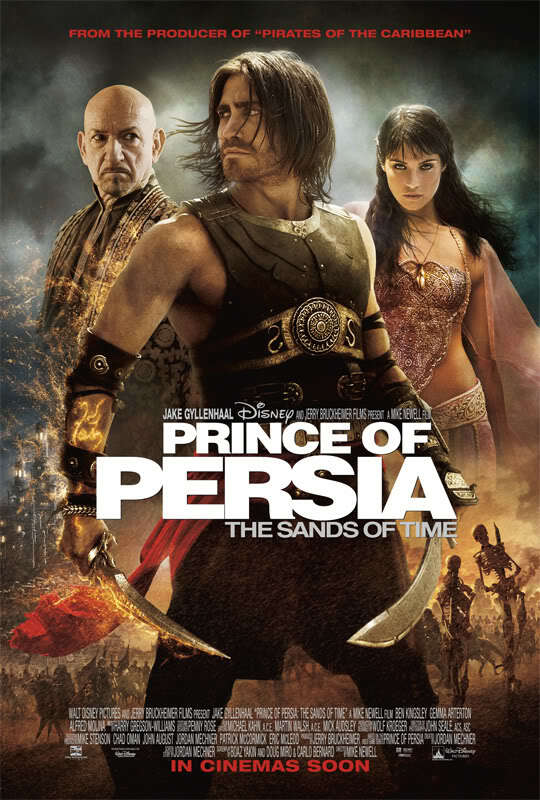 Prince of Persia: The Sands of Time is based on a video game published by Ubisoft. It was released on November 21, 2003 and is a continuation of the landmark MS-DOS and Macintosh game series Prince of Persia, created by Jordan Mechner in 1989. The Sands of Time, developed internally at Ubisoft Montreal, successfully captures the mechanics of the original platformer and extends it to the 3D generation. An earlier attempt by The Learning Company to transfer the game to 3D (Prince of Persia 3D) was released in 1999, but failed to meet the standards set by the franchise. The Sands of Time was praised for its visual design, finely tuned game mechanics, and intriguing storyline, winning the game several awards. The game was developed for the PC, PlayStation 2, Nintendo GameCube, Xbox, and later a 2D-version for the Game Boy Advance and mobile phones. The success of The Sands of Time led to two sequels, Prince of Persia: Warrior Within and Prince of Persia: The Two Thrones, in 2004 and 2005, respectively, and an interquel, Prince of Persia: The Forgotten Sands in 2010. Prince of Persia is another spectacular film that has breathtaking cinematography and special effects, and powerful sound design and musical scoring. Set in the mystical lands of Persia, a rogue prince and a mysterious princess race against dark forces to safeguard an ancient dagger capable of releasing the Sands of Time -- a gift from the gods that can reverse time and allow its possessor to rule the world. This film will not only enthrall you with its visual design but the story and performance full of action will mesmerize you. Prince of Persia is a must-see film. Win an exclusive Prince of Persia: The Sands of Time mousepad with usb hub from Azrael Colladilla's site.